The Macedonian palaces of northern Greece/Macedonia. Most Greek palaces currently known are those of the Minoan Civilization on the island of Crete, the Mycenaean palaces of Peloponnese, and the Macedonian Palaces of northern Greece. 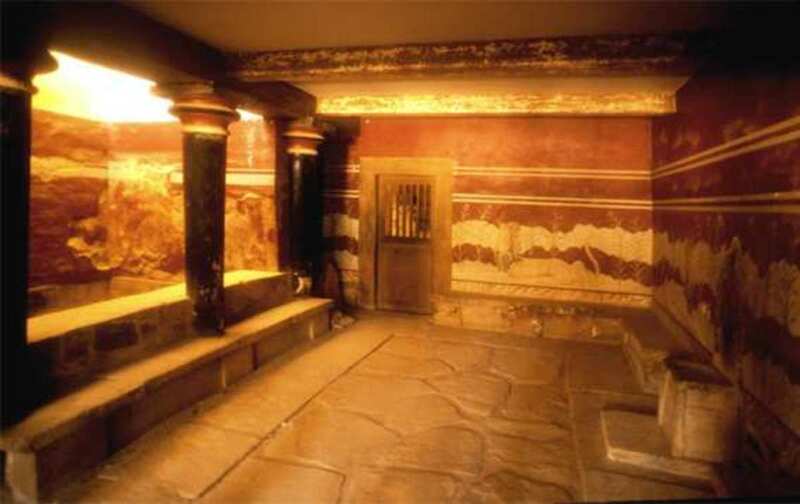 The most glamorous and luxurious of their palaces was Knossos. The palaces of Ancient Greece generally followed the Minoan-inspired layout, with its large central court flanked by additional buildings for the King's staff (his "cult"), storage buildings, administration, and public events. To the east of the main court were the Royal Chambers of the King and the Queen and to the west there were rooms for religious and public activity. The Treasury of the Shrine is a room containing many precious artifacts, such as the usual imported ivory, metals, and semi-precious stones. Knossos was a multi-storied building, its footprint covering five and a half acres of land. It was home to the King of the Minos and his advisors, trade goods, and craftspeople. 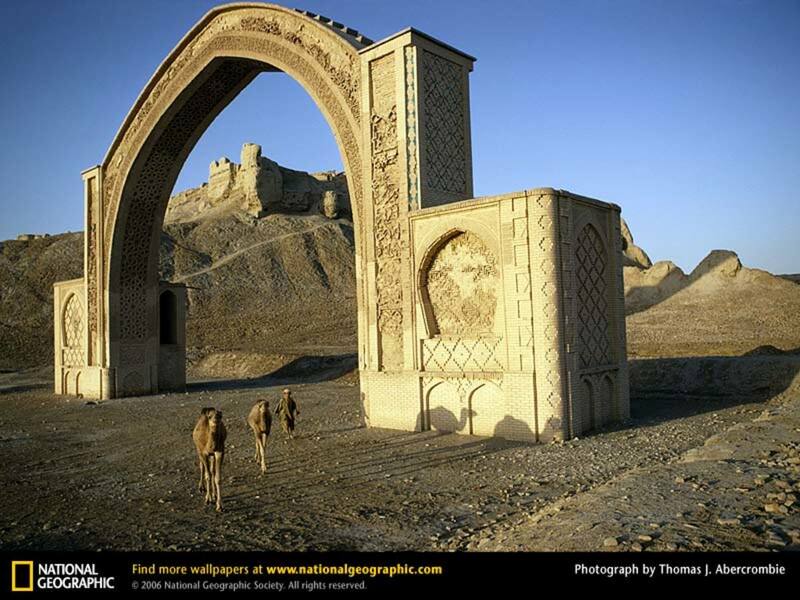 In addition, the palace featured a central courtyard, a large number of rooms and corridors, a throne room, several large baths, storerooms, craft workshops, the administrative chambers, and a very intricate plumbing system. 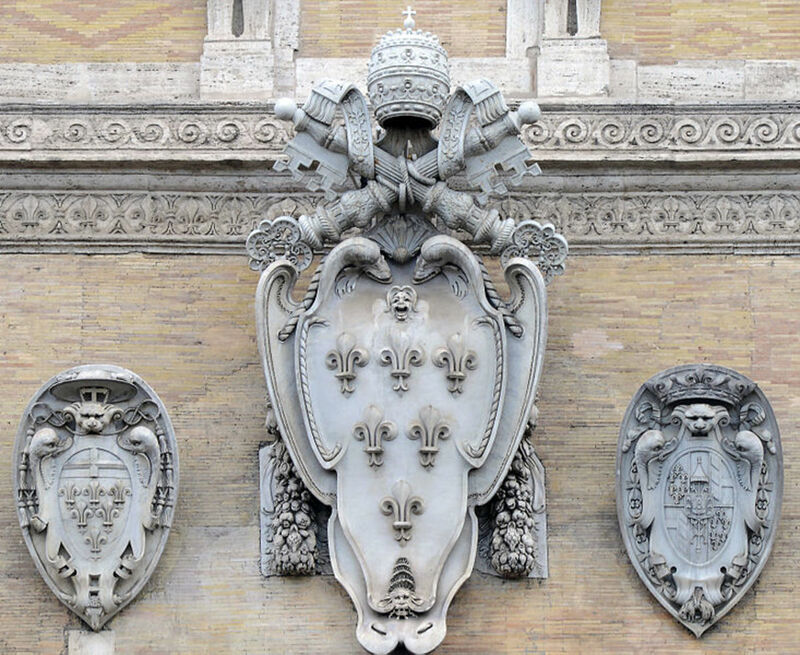 The palace itself was not indestructible and eroded over time. The palace was renovated, one renovation on top of the other. 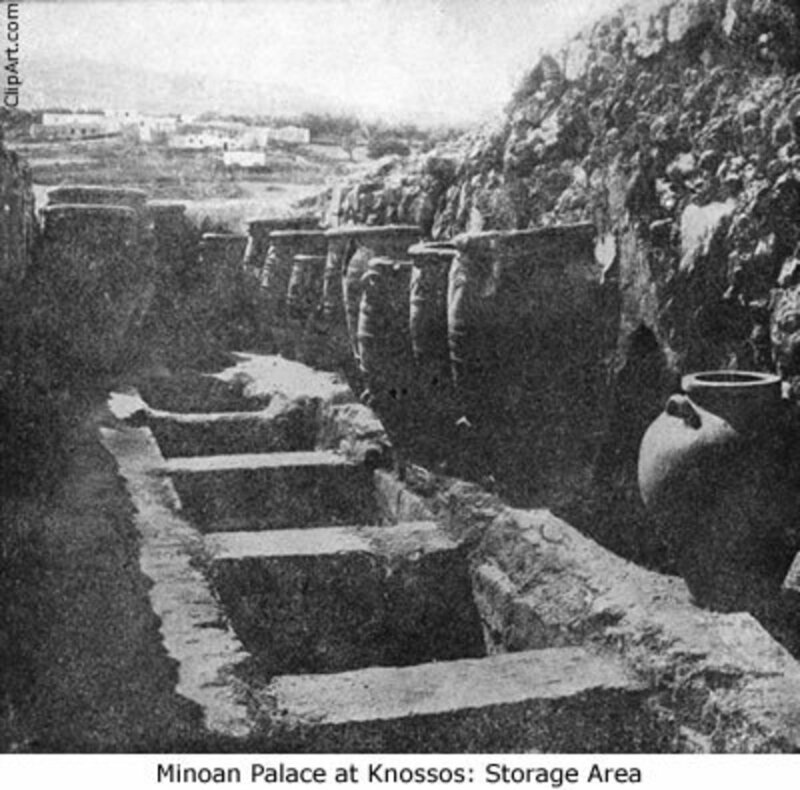 As the Minoan administration grew, the palace reduced in size. 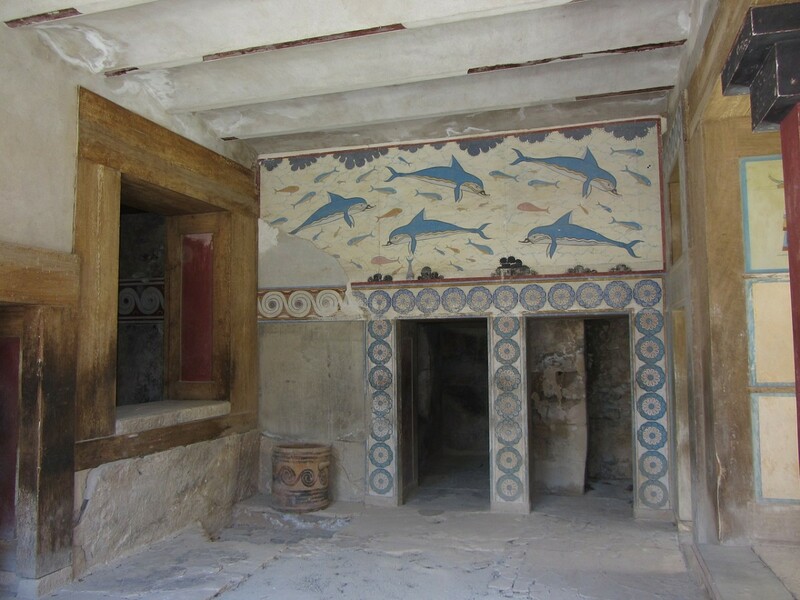 Outside of Knossos, there were many houses, a smaller palace, and craft workshops. The city of Knossos did not build city walls for protection and the trade routes from Knossos established communications and trade goods from Turkey, Cyprus, Egypt, Afghanistan, and even Scandinavia. Knossos imported copper, ivory, amethyst, lapis-lazuli, carnelian, gold, and amber. All of this was used in the palace fixtures, especially the Treasury of the Shrine. 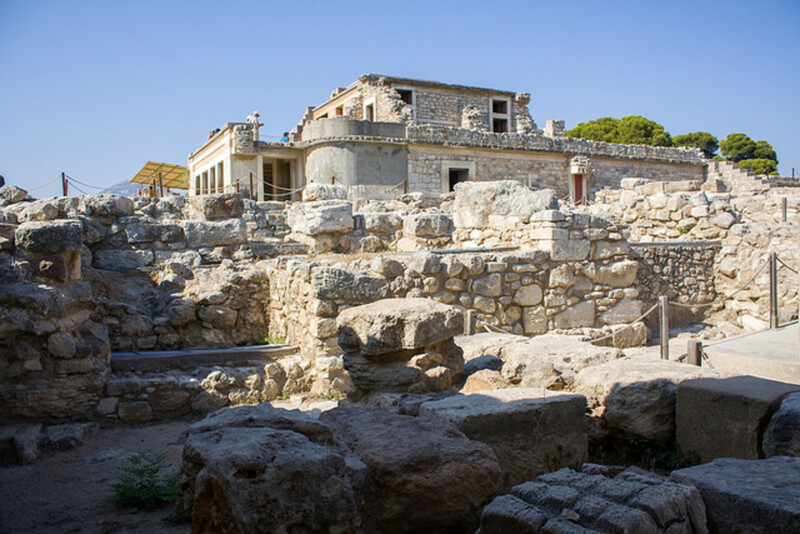 Knossos, even in ruins today, is said to radiate joy through elaborate architectural planes and open spaces gathered around the Central Courtyard. 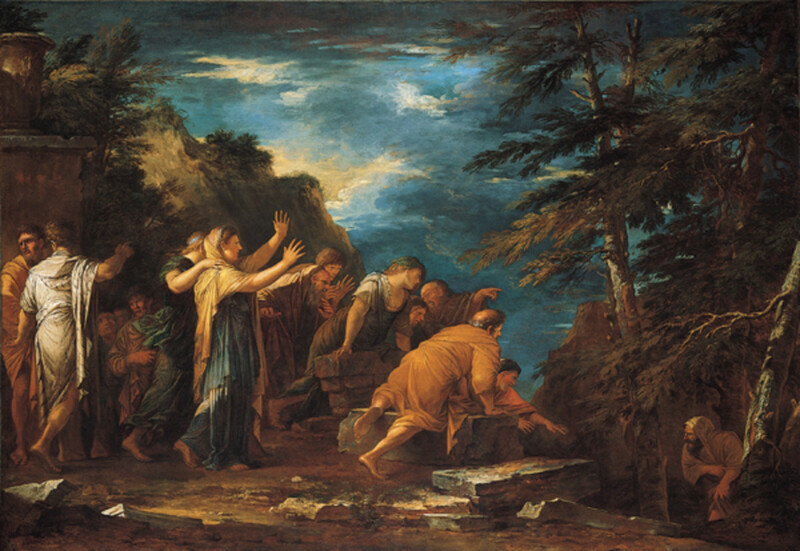 Wall frescoes show people having wonderful regard for nature and joy itself. The area around the ramp that leads to the main palace exposes ruins that span 7000 BC to 1375 BC. 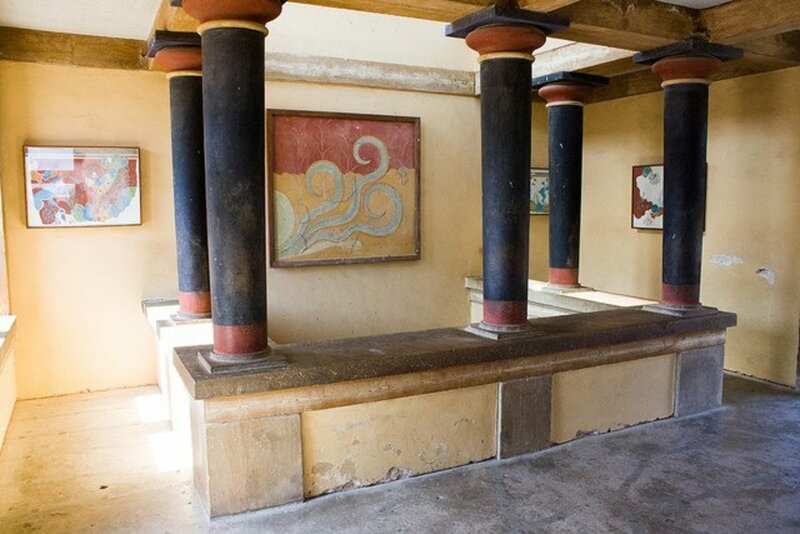 The layout and workmanship of Knossos remind me of Frank Lloyd Wright's Fallingwater in Pennsylvania. To the left of the entrance ramp there are three large kouloures (grain silos) in the form of large round pits. At the bottom of these pits are the remains of pre-palace buildings. 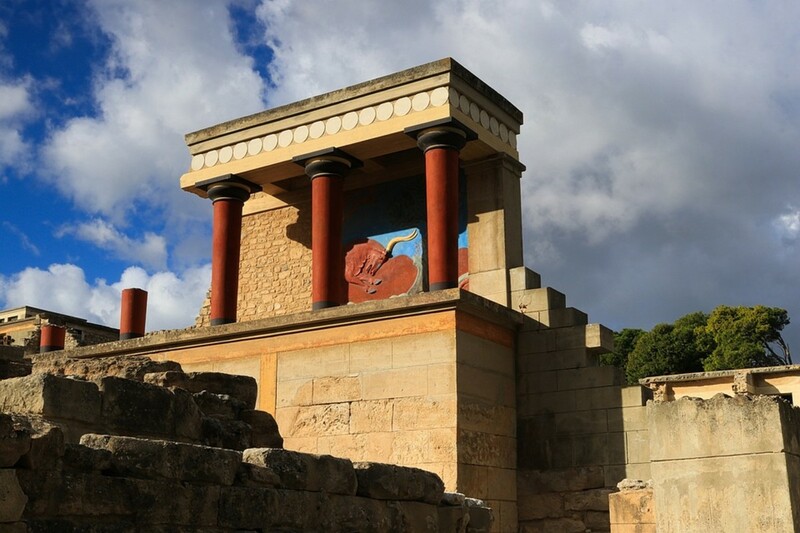 Knossos was the capitol and center of administration of all of Crete and experienced gargantuan growth and wealth as evidenced by the sheer numbers and sizes of the storage buildings, workshops, and wall paintings. The Throne Room has a gypsum throne and benches for sixteen people. 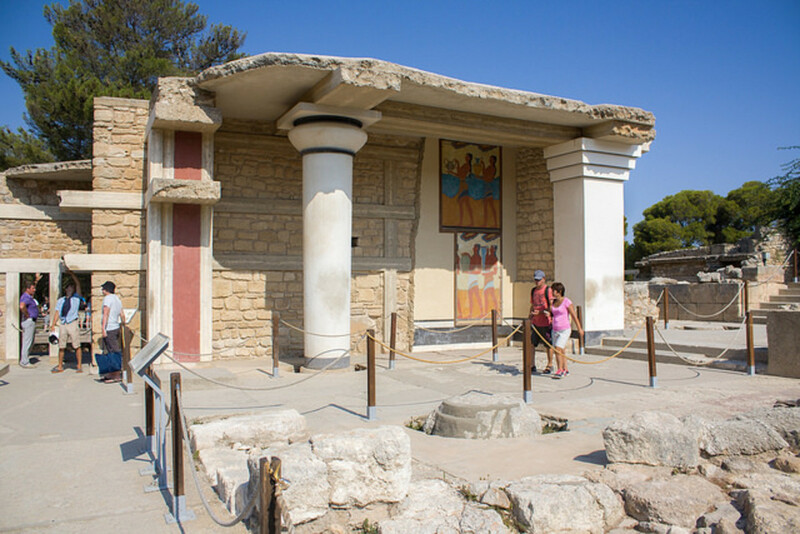 Knossos was destroyed only twice: once in fire in 1700 BC, the second time in a major earthquake on Crete. The earthquake also destroyed Kato Sakro and Mallia palaces. In 1450 BC, the Minoan Civilization collapsed, possibly because of the volcanic eruption of Mt. Thera and the rise of the Mycenaean civilization on Crete. 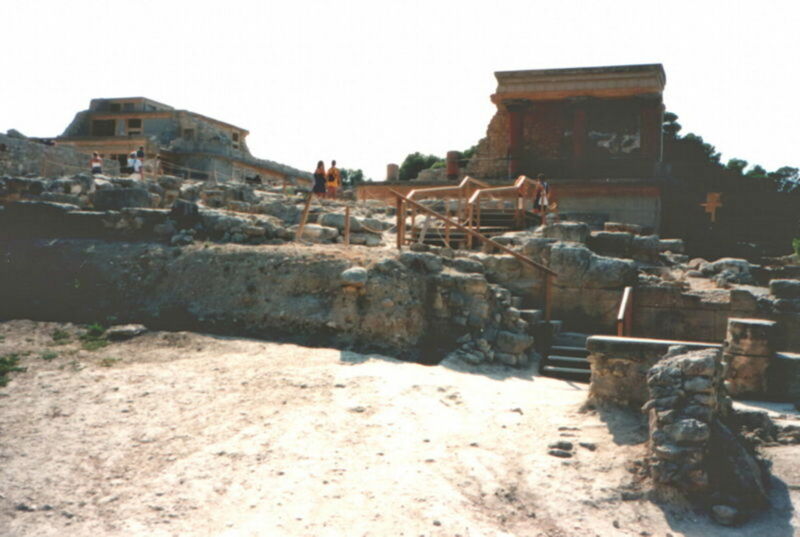 Knossos was all but abandoned by 1375 BC. The language of the Minoans was Linear-A, and it has never been deciphered or translated. However, the Minoans left behind their art, architecture, and tools. Many rare clay tablets have been found in the palaces, inscribed in the indecipherable Linear-A in the palaces' Archive Rooms. Many of the tablets were preserved because they were baked by fires, including those in Knossos. The art and artifacts indicate that Minos was ruled by a King and nobles who directed all trade, art, and religion in the land. The government was theocratic, and the religion was matriarchal, centering on goddess-worship and high priestesses. 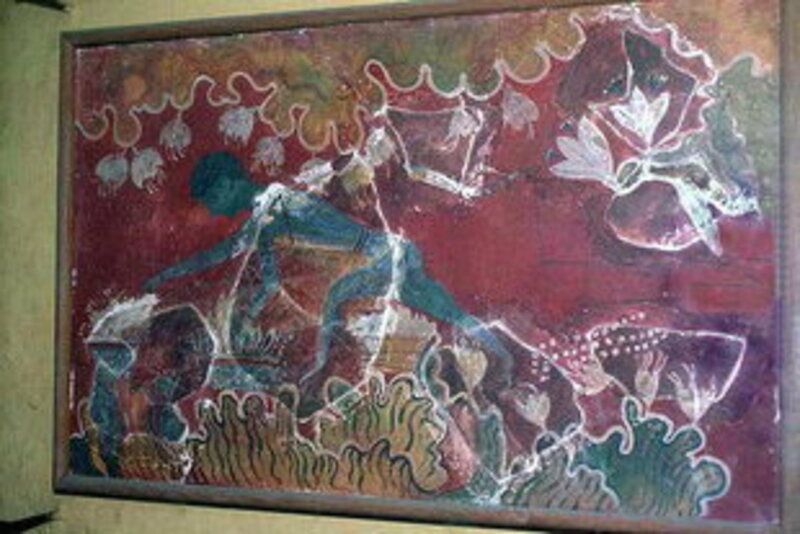 "Bull leaping" was a major religious ritual, as found painted in the palace wall frescoes. Bull leaping involved leaping onto the back of a charging bull. 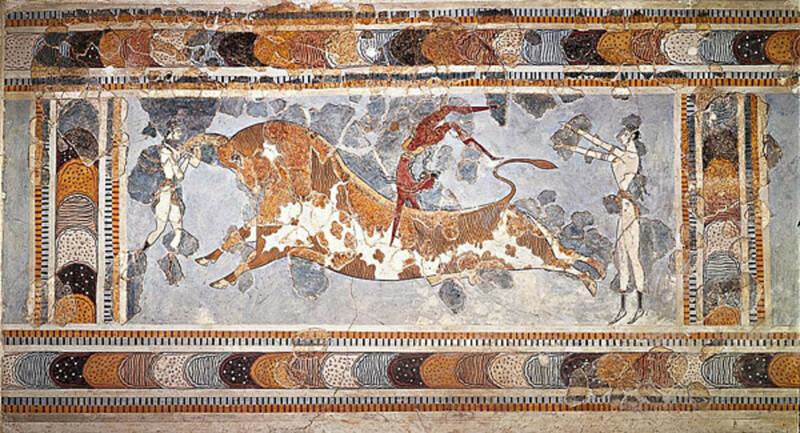 Minoans were called either Noble, Citizen, or Slave and in the palace art, it is shown that Slaves were treated fairly and permitted all religious activities except bull leaping. Women worked alongside the men and were apparently considered equals, a benefit of a matriarchal society organization. The palace frescoes give an impression of how the Cretans lived. Evidently their style of living, at least the higher classes, was sophisticated. 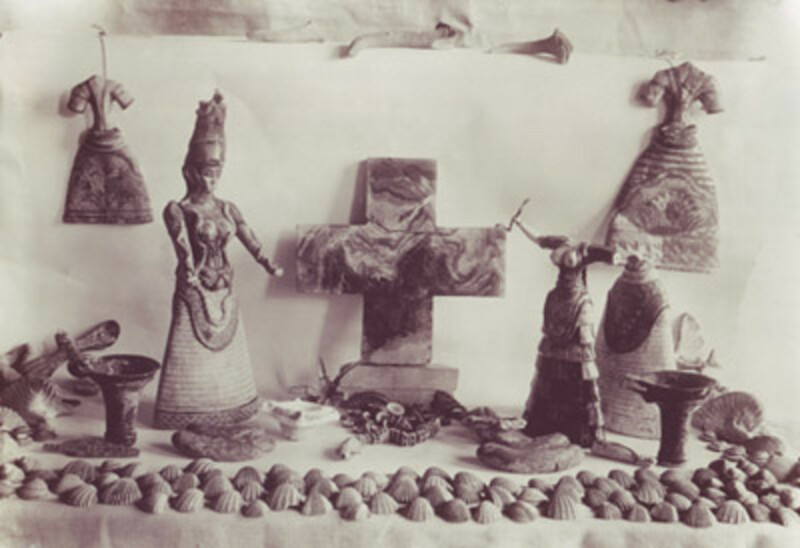 They worked metals and produced pottery with an amazing joy that is shown in the form and features of their art. Later on, demons with animal heads entered their religion and optimism faded. Researchers have found both -- The rectangular megaron is a multi-purpose room or gathering hall that was evidenced in both the Minoan and Mycenaean periods. In the Mycenaean, the megaron seems to have been a forerunner of the Greek temple. It was generally built with an open, two-column porch and a central hearth (see the link on Minoan Hearths above).Minos used wooden columns generally. 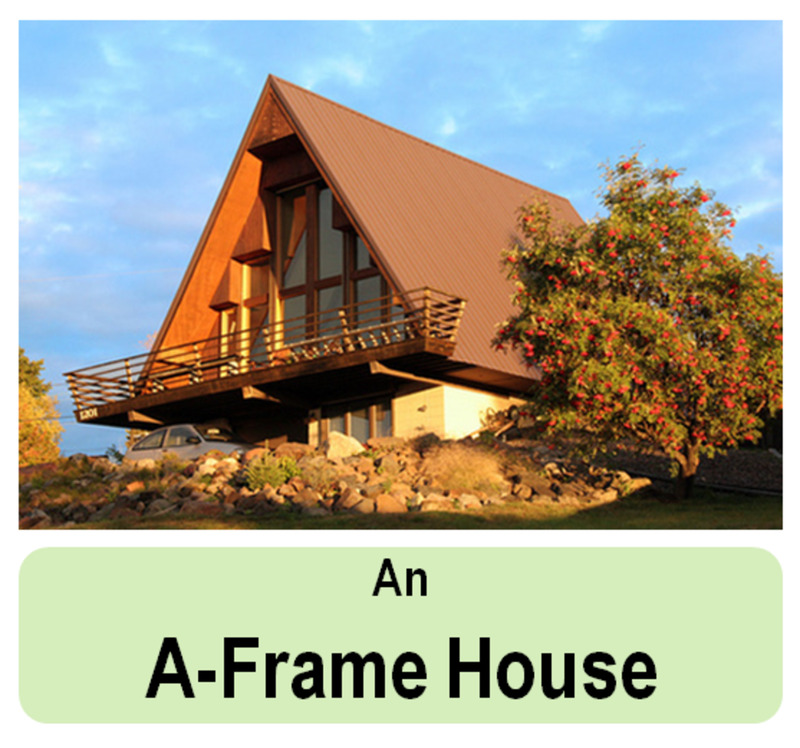 Great feasts and parties, poetry, worship, sacrifice, and a &ldquo;war room&rdquo; were all activities occurring in this hall. 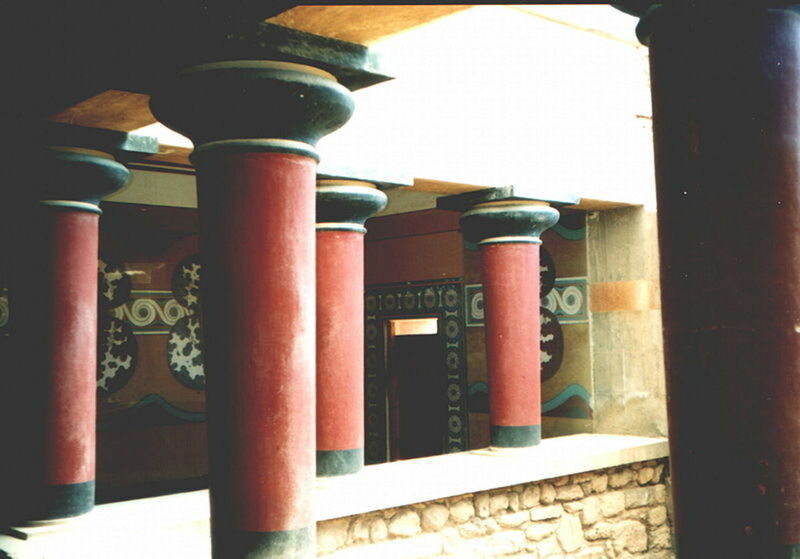 Some authorities say that the hall was unusually colorful with Minoan architecture - fired brick and large wood beams. 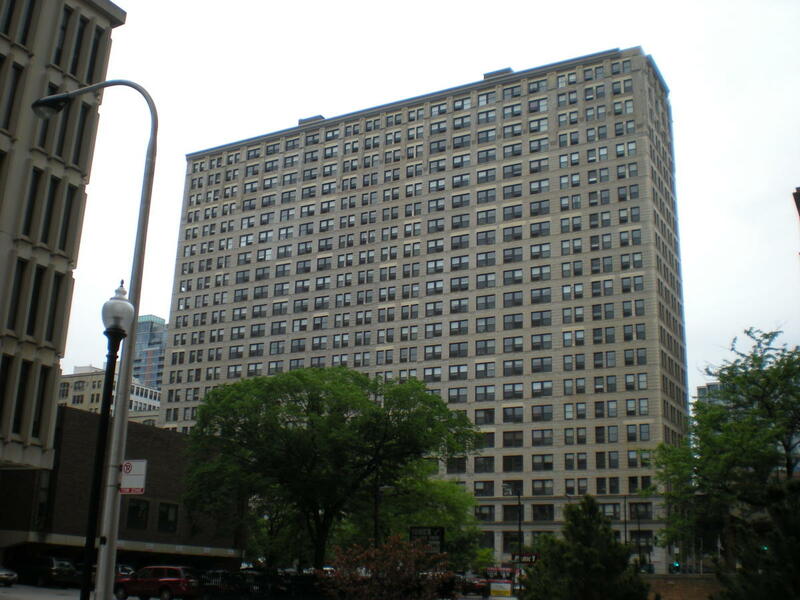 There was usually a roof of ceramic tiles. Hey, thanks for answering my request! It is very helpful.. I have a question, how about megaron? Is it a part of ancient Greek palace? Or is it a part of Mycenaean civilization only?